Stand up Comedy in Covent Garden, Central London. 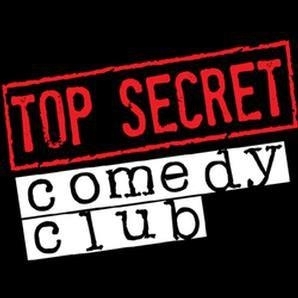 The best of the Stand up Comedy scene in London, with regular big name drop ins, this is the place where the biggest names in Comedy pop in to try out material before they take it on tour or on the TV, with the best value bar and best reviews of any club in the U.K. on Trip Advisor and Google reviews. Our 7 day weather forecast for London updated throughout the day, making it ideal for planning leisure activities, travel and events. Read more about our weather forecasts. On Sunday 21st April 2019 the sun will rise at 05:53 and will set at 20:07. It's going to be quite a warm day, with temperatures reaching 23.3°C. Today is expected to be a dry day, with a very low chance of rain. It will be a very clam day today, with a maximum expected wind speed of 8mph. On Monday 22nd April 2019 the sun will rise at 05:51 and will set at 20:08. It will be a mild day, with temperatures reaching around 22.6°C. Today is expected to be a dry day, with a very low chance of rain. It will be quite a breezy day, with a maximum expected wind speed of 13mph. On Tuesday 23rd April 2019 the sun will rise at 05:49 and will set at 20:10. It will be a mild day, with temperatures reaching around 20.4°C. Today is expected to be a dry day, with a very low chance of rain. It will be quite a breezy day, with a maximum expected wind speed of 13mph. On Wednesday 24th April 2019 the sun will rise at 05:47 and will set at 20:12. It will be a mild day, with temperatures reaching around 16.8°C. Today is expected to be a dry day, with a very low chance of rain. It will be quite a breezy day, with a maximum expected wind speed of 18mph. On Thursday 25th April 2019 the sun will rise at 05:45 and will set at 20:14. It will be a mild day, with temperatures reaching around 15°C. A light shower is possible, 1mm of rainfall is possible today. It will be quite a breezy day, with a maximum expected wind speed of 23mph. On Friday 26th April 2019 the sun will rise at 05:43 and will set at 20:15. It will be a mild day, with temperatures reaching around 14.4°C. Today is expected to be a dry day, with a very low chance of rain. It could be quite a gusty day today, with a maximum expected wind speed of 26mph. On Saturday 27th April 2019 the sun will rise at 05:41 and will set at 20:17. It will be a mild day, with temperatures reaching around 10.3°C. A few showers are expected, 3mm of rainfall is possible today. It could be quite a gusty day today, with a maximum expected wind speed of 31mph. Our weather forecast for London is updated throughout the day and has been found to be very reliable for planning activities such as days out, leisure, travel, events, fishing, golf and gardening.